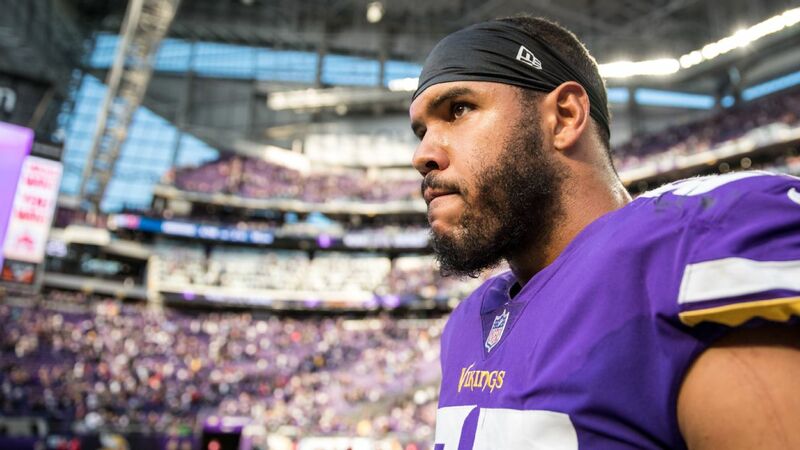 Linebacker Anthony Barr told his agent to accept the deal with the New York Jets, an offer that would pay him an average of $15 million per season for five years. Instantly, the former first-round pick and four-time Pro Bowler regretted his decision. Less than 24 hours later, Barr's agent told the Jets his client would not accept their offer after all and, instead, would return to the Minnesota Vikings. For far less money. "Because of the money, he was going to have to test free agency," Vikings coach Mike Zimmer said. "We knew he was going to get more than we could pay him. It shows to his loyalty, what he thinks about ownership, team, organization. It's very rare that guys do that." Here's a behind-the scenes look at an emotional day for Barr that included a sleepless night, plenty of advice from his mom and one telling test by his agent. Barr, 27, experienced the worst and best day of his life within a matter of 24 hours. The free agency legal tampering period opened at 11 a.m. CT and ended at 3 p.m. CT two days later on March 13, the official start of the new league year. It's a window that allows for teams to engage in talks with pending unrestricted free agents so financial figures can be negotiated and ironed out ahead of when players can officially sign with their new teams. Barr was at home in Southern California, in constant contact with his agent, Ryan Williams of Athletes First. He had a handful of suitors on the open market, but the Jets immediately rose to the top of the list because of their visit and the amount they could to pay him. They were the team Barr had identified as the front-runner if he wasn't able to remain in Minnesota. New Jets defensive coordinator Gregg Williams envisioned Barr as a multipurpose weapon, capitalizing on his athleticism as a blitzer and also his ability to drop into coverage. The Jets' plan all along was to revamp their linebacker corps with Barr and former Baltimore Raven C.J. Mosley and get them both, not just one or the other. By the afternoon, it became clear that Barr was going to leave Minnesota for New York. Once the Jets' offer rose to $15 million a season, it was evident the Vikings weren't going to be able to match it. Ryan Williams relayed this information to Barr. Instead of being ecstatic over the considerable pay bump, Barr kept asking, "Where's Minnesota?" At this point, no one believed Barr had any chance of returning to the Vikings. The agent told Barr the Vikings didn't want to make a low-ball offer given where they were with the Jets. Minnesota was in a bind with its salary cap, set to enter free agency with about $5.2 million in available spending money. Since the Vikings had no resources to offer Barr the franchise tag, worth about $15.8 million, there was no way they would be able to match the Jets' offer. Williams could tell his client was conflicted. "There was a moment where I could sense he was hesitating a little bit," he told ESPN. "It became clear that he wasn't settled with where we were headed. He felt like the right thing [going after the money he deserved as a player] was that he should go to New York. But deep down the right thing for him and ultimately what he cared about was to stay in Minnesota." Around 5 p.m. PT, Williams called Barr. "If the Jets get to 'X' [which is the figure north of $15 million], are you a New York Jet?" the agent asked. Ryan Williams got back on the phone. He told the Jets his client was in and they were ready to get the deal done. Williams had a three-way conference call with Barr and his mother Lori. In the background, Williams struck up the song made famous by Frank Sinatra, "Theme from New York, New York" to set the mood. This was supposed to be a celebration. Instead, it felt like a funeral. Barr was quiet on his end of the phone. There was no joy in his tone of voice. Meanwhile, someone inside the Jets' organization apparently leaked the news that Barr was leaving Minnesota, frustrating all three on the phone call. Barr instantly felt regret for the decision he had just made. "He said, 'I feel like I just made the worst mistake of my life,'" Williams said. Barr was torn up that he had given the Jets his word and was wavering on his decision. Williams immediately went to work unwinding the web, hanging up with Barr and his mother to call back the Jets to let them know his client was having second thoughts. The Jets went into their own form of crisis management and were willing to do anything, including fly Barr out for a free-agent visit later in the week, to convince him to sign in New York. The Jets were told Barr needed the night to think about his decision. As word spread in the media that Barr was headed to New York, Minnesota vice president of football operations Rob Brzezinski was caught off guard when he received a frantic call from Ryan Williams asking for the Vikings' best and final offer. Minnesota needed to move quickly if it wanted any chance to retain Barr. It took about an hour for both sides to come to a proposed deal that Williams would take back to his client on Monday evening, just hours after word got out that Barr was headed to New York. Working the numbers, Brzezinski extended Minnesota as far as it could go. Around 8 p.m. PT, Barr had offers to consider from the Jets and the Vikings. As Barr was deliberating, Zimmer remained in contact with him, sending him a text "here and there" to let Barr know he was wanted in Minnesota. The Vikings swung as hard as they could with the one shot they had. "I guess my philosophy personally is I'm going to fight until the end -- until there is nothing left, you might as well keep swinging until you're knocked out," Vikings general manager Rick Spielman said. "We're always going to do that. The way Coach Zimmer coaches, the way we try to attack things from a front-office standpoint, if we go down, we're going to go down swinging. But it's not going to be without a fight." Barr had the rest of the night to think, but there was little that could calm his weary mind. "I was up for all morning, just looking at my ceiling, just looking for a sign," Barr said. "Talking to everybody, trying to figure something out." At 6 a.m. PT, Ryan Williams called Barr wanting to know where his mind was. And he offered a piece of advice. "I would ultimately rather have you take the lesser deal that's ultimately going to make you happy than hold on to hope of making an extra $10 million to $15 million in the last couple years of your deal," Williams told Barr. Having grappled with the decision of chasing comfort over money, Barr realized he needed to be in Minnesota. Williams told Barr he would let the teams know. Except he waited. He didn't call anyone. Fifteen minutes later, Williams called Barr back. "I said, 'Congrats, dude, you're a Viking,'" Williams said. "And he literally screamed that this was the best day of his life. I said to him, 'That's the reaction I was hoping to get yesterday and now that I have it, I actually have to call the other teams and let them know your decision.'" Barr agreed to a five-year contract with the Vikings worth $67.5 million with $33 million in guarantees. There is an added $12 million in sack incentives that kick in from 2020 to 2023. The average yearly salary of $13.5 million is less than the $15 million per year figure the Jets were offering. Barr and his mother shed tears of joy over FaceTime once the deal with Minnesota was finalized. Lori could sense relief in her son's voice. "It happened the minute he said I'm going to go back [to Minnesota]," Lori said. "There were tears. It was pure elation -- relief, appreciation, feeling valued, feeling reconnected. Just a range of emotions but mostly just sincere happiness that he was getting to go back to where he got to start it all and be with the people he loves to be with, with the organization, in a city he really enjoys and has now become his second home. It just really made waiting and not knowing worth it." Throughout this process, the Jets' front office never spoke to Barr directly and don't believe there was a third team involved or that he used them as leverage. Sources told ESPN the Jets were disappointed but not blindsided, knowing the fluidity of the process. When the front office received the call from Williams on March 12, they had already begun to move on. "It's like everything else in free agency. Until they technically sign, you don't truly know what will happen," Jets general manager Mike Maccagnan said. "I'd say simply with Anthony -- to me, it's part of free agency. We felt good about going after him. We targeted him. We felt good when we actually had the agreement in place. "In the end, we also want players who want to be part of the Jets. This team might not be right for everybody. We wouldn't want to have a player come to us and his heart wasn't 100 percent into what we want to build and accomplish here." That night, Barr's family went out to dinner at a Mexican restaurant near their home in Rancho Palos Verdes, California. Dubbed "Draft Night 2.0," a 20-person party attended by Barr's grandmother and many cousins clad in Vikings gear celebrated his decision, drinking margaritas, eating tacos and chanting, "Skol, Vikings." The end of a whirlwind 24 hours brought some perspective for Barr after the roller-coaster ride he had just been through. Barr's decision to change his mind is something that's not uncommon. Players have backed out of verbal agreements before because nothing is official until binding documents are signed. In fact, this wasn't the first time the Jets lost out to the Vikings in free agency. In 2004, the Jets courted cornerback Antoine Winfield for two days before he agreed to a six-year, $30 million contract with a $10 million signing bonus. Winfield was in the Jets' building (on Long Island at Hofstra University) when former Vikings coach Mike Tice heard what was going down and sent for a private jet to pick up Winfield at Republic Airport, about 25 minutes from the facility. Winfield left the building without signing, and the rest is history. For Barr to leave the amount of money he did on the table in the prime of his career isn't something players often do. While most bolt toward free agency and their next big payday at full speed, Barr ran in the direction that felt right. He chose comfort over chasing paper, finding solace in remaining in a defensive system in which he thrives, with a coach who has fought for him and in a locker room where he's beloved as a core part of the franchise. "I was trying to convince myself of something I knew that in my heart didn't feel right, and I think if you follow the heart, I can live with the results," Barr said.